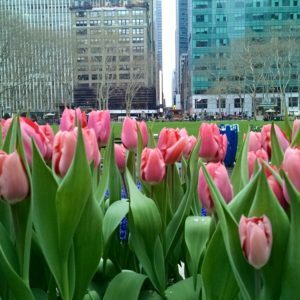 Earlier this year I had a life-changing travel experience. 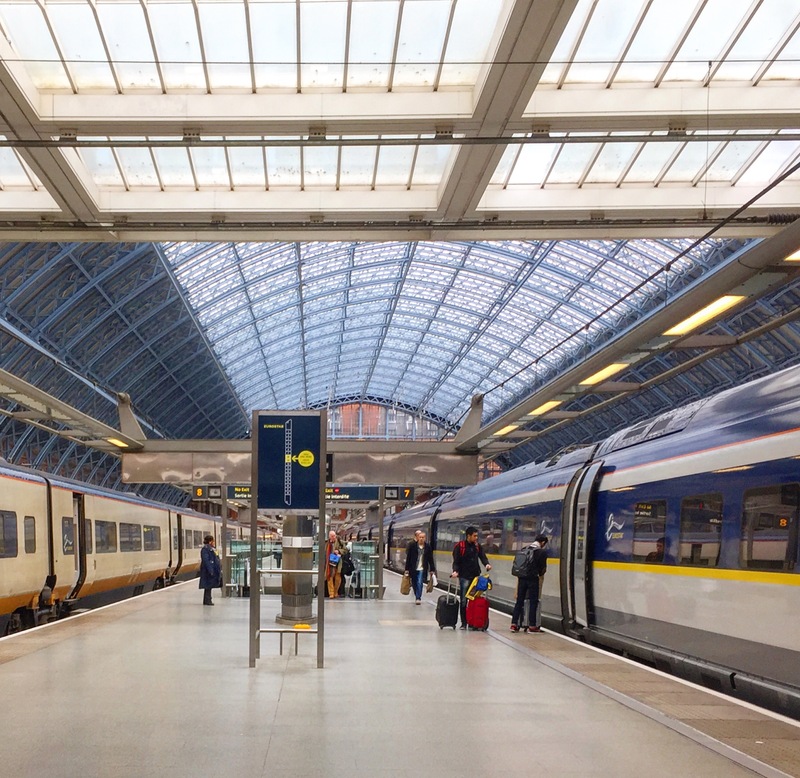 London and Paris were filled with pinch-me moments, for sure, but one memory I can’t shake is the Eurostar Train… We boarded in London at St. Pancras – I highly recommend arriving early to walk through this architectural beauty – our destination, Gare Du Nord in Paris. 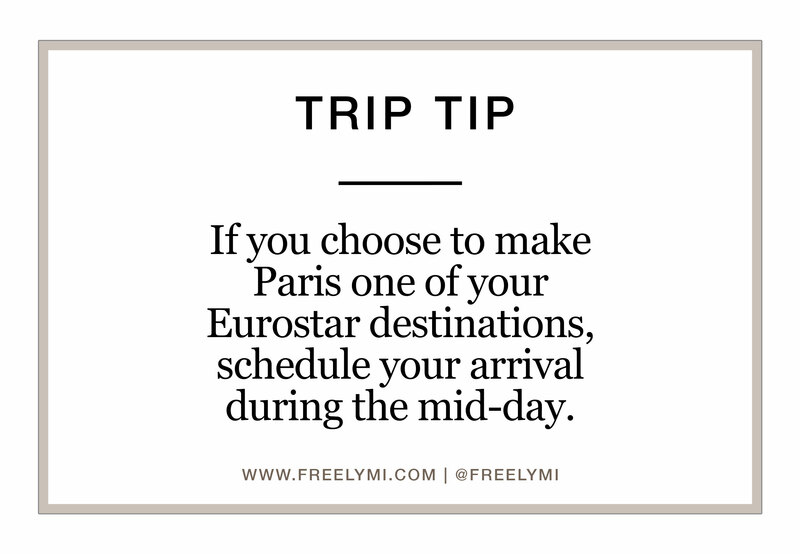 If you choose to make Paris one of your Eurostar destinations, schedule your arrival during the mid-day. “Nord” is near Montmartre and the Sacra-Coeur which make for fantastic sightseeing, but the Red Light District can be a little dodgy after dark. 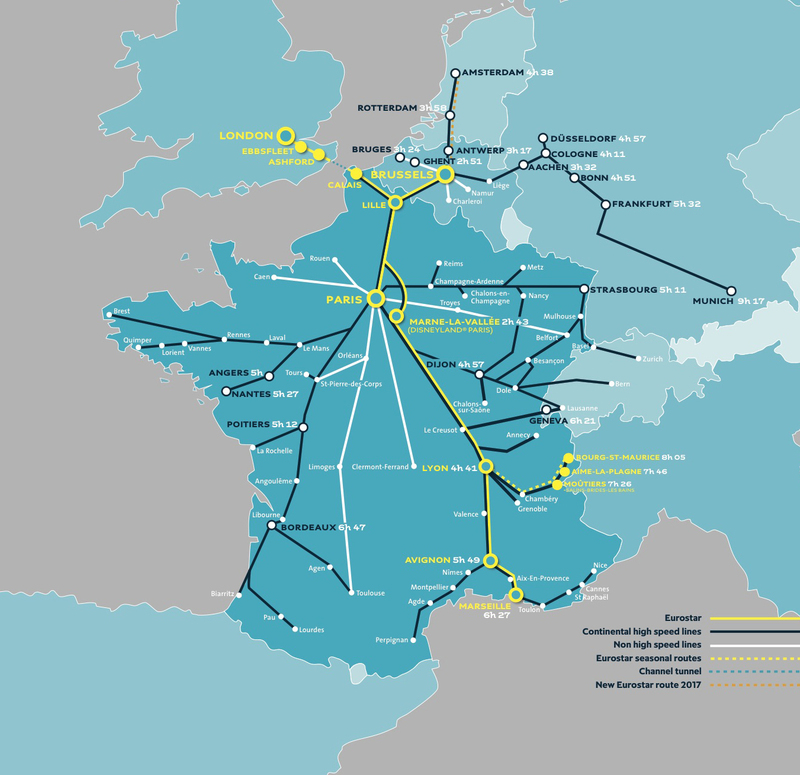 London and Paris are two of the Eurostar’s primary destinations, but a spider web of connections are available from each main station. To be frank, I didn’t expect this to be such a rewarding experience, but the Eurostar has instigated daydreams of future Euro-travel. Traditional and luxury trains service every desirable destination including London, Paris, Rome, Barcelona, Brussels, Athens and more. Aside from the affordability of train transit (as compared to air, bus or rental car), the comfort we felt was a pleasant surprise. The ride was so smooth, and our four-person space with table, reading materials, and wifi made the 2-hour ride equally breezy and delightful. Still, the best part of Eurostar travel, for me, was the view. I felt like I had been transported into a Jane Austin novel. The French and English countrysides are breathtaking. The rolling green hills, whimsical farms and storybook towns were unlike any I had ever seen – and I wouldn’t have seen them had I not taken the Eurostar train. With so many beautiful sights to see throughout Europe, I can’t wait to repeat the experience; after telling Ben about it, I think its safe to say he is game for a European train excursion. Suggestion: Google images of the English and French countryside for an idea of what we saw out our Eurostar window. 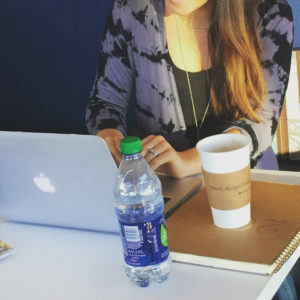 Do Comforts Keep Us From True Fulfillment? I am so jealous! I have never been to Europe. It is on my list of places to go though. I want to travel a lot. I’m just waiting for my kids to get older. Great tips! 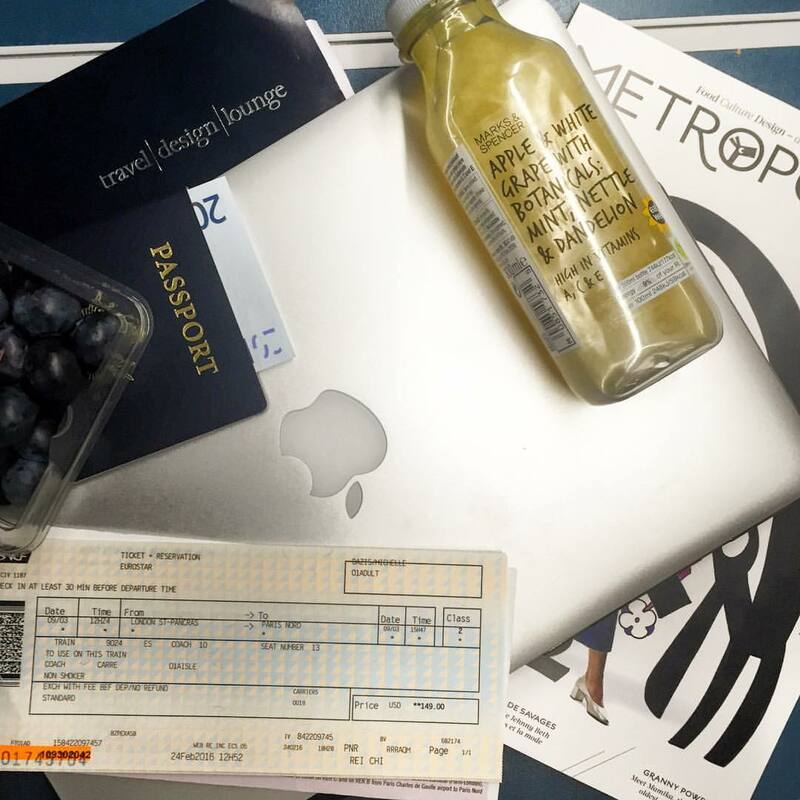 I took the Eurostar from London and Brussels and loved the experience too – the countryside was so beautiful! Wow, I haven’t ridden a train this beautiful before! It’s fantastic! I can’t wait to go to Europe someday in the future! It’s my dream place to go! This looks awesome! Every time I go to Europe I am in absolute awe. I also love the ease of travel there, it’s definitely something us Americans need to incorporate into our society. 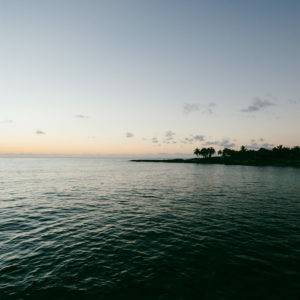 Especially living in Florida, one of the most touristy locations in the country, I can’t imagine what it would do for the tourism industry if our tourists could travel about the state with ease.